Discussion in 'Reviews & Articles' started by peaz, Mar 30, 2004. Covering 758 desktop graphics cards, this comprehensive comparison allows you to easily compare 24 different specifications for each and every card. 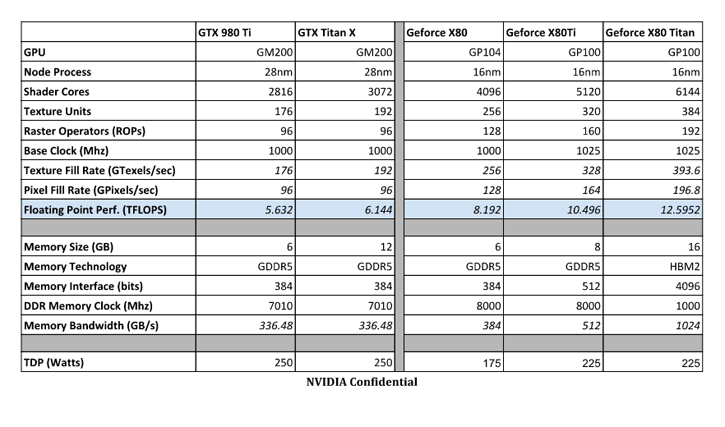 If you need to find out about the specification of any card, just come over and check out our Desktop Graphics Comparison Guide. - Updated the specifications of the AMD Radeon R9 380X graphics card. - Updated the specifications of the AMD Radeon R9 380 graphics card. - Updated the specifications of the AMD Radeon R9 380 (OEM) graphics card. - Updated the specifications of the AMD Radeon R9 370X (Future) graphics card. - Updated the specifications of the AMD Radeon R9 370 graphics card. - Updated the specifications of the AMD Radeon R9 370 (OEM) graphics card. Covering 761 desktop graphics cards, this comprehensive comparison allows you to easily compare 24 different specifications for each and every card. If you need to find out about the specification of any card, just come over and check out our Desktop Graphics Comparison Guide. - Added the AMD Radeon R9 390 X2 graphics card. - Added the AMD Radeon R7 (Wani) processor graphics. - Added the AMD Radeon R6 (Wani) processor graphics. Covering 762 desktop graphics cards, this comprehensive comparison allows you to easily compare 24 different specifications for each and every card. If you need to find out about the specification of any card, just come over and check out our Desktop Graphics Comparison Guide. - Added the NVIDIA GeForce 960 (OEM) graphics card.